Are Smart Power Strips Worth the Money? Is it worth the money to replace all of my existing power strips with smart power strips? If I’m already buying a power strip, is it worth paying for a smart power strip over a regular power strip? Let’s start with the second, because it’s the easiest. Smart power strips won’t cost you any more than a regular strip. They’ll both hover around 10-15 bucks. It’s going to vary depending on where your buying, but these are approximates. So yah, if you’re going to be out of pocket for a new strip anyway, get the one that is going to pay for itself. With only 1 laptop plugged into a smart power strip, you’ll offset about 16 watts of power when used properly. Over a year that will accumulate to 68 kWh, which will cost different amounts in different parts of the country. Here in Chicago, with electricity rates averaging $.11 per kWh, that amounts to $7.69 in energy savings. If you spent $15 to replace your power strip, you won’t be getting that money back for 2 years. However, imagine a pretty common case where a workstation has a desktop computer, monitor, and personal printer plugged into the same power strip. When asleep, a desktop computer draws 21 watts, a monitor draws 1.4 watts, and a printer draws 5.3 watts, for a total of 27.7 watts. Using the same assumptions of usage, that will add up to 121 kWh and $13.30 of savings. So you’re looking at a 1.1 year payback. It’s up to you to make up your mind as to whether it’s worth investing into something that has a 1.1 year payback. As a rule of thumb, anything less than a 1.5 year payback is what I find the market aligning in being an appealing payback. But I understand that saving $13 per year isn’t all that exciting, certainly not to go out of your way to get a new power strip. However, you are managing a school, library, or office with many, many computer stations, those savings add up to something more exciting. In summary, my answer for the first question is split down the middle. 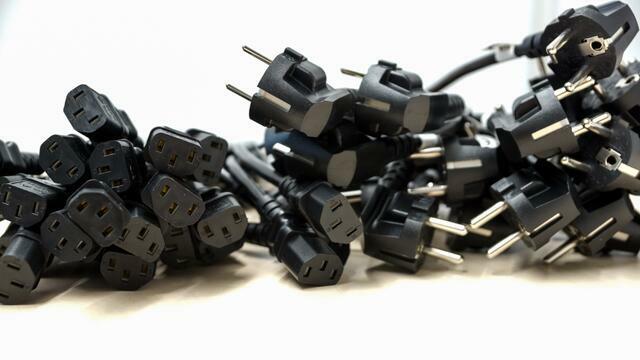 If the payback is reasonable and you have a lot of power strips to change over, then you should go for it. But if you are looking to replace one or two power strips, you’ll find some more exciting opportunities for energy savings in your lighting, refrigeration, or HVAC equipment. If you want to run the numbers on your specific case, we are always happy to lend you our expert guidance. Reach out to us! When not knocking out amazing energy efficiency projects with his customers, Tyler can be found drinking and appreciating craft brews and listening to Gary Vee podcasts.